Are you doing your last minute Christmas shopping? Read on and see how you can get a free 2-day shipping for this amazing Superzoom camera. I am a big Canon fan and own a Canon Rebel T1i and a Canon Powershot SX10 IS. I have written several posts on camera deals here. Panasonic Lumix DMC-ZS3 holds its own ground when it comes to features and picture quality and is now available in an excellent deal at Amazon! You can get Panasonic Lumix DMC-ZS3 10.1MP with 12x Wide Angle Mega Optical Image Stabilized Zoom for $241.25. Plus you get a free 2-day shipping. Perfect for those looking for a last minute Christmas gift. Panasonic ZS3 falls in the super zoom or mega zoom category of digital cameras that offer an exceptional range within a small camera body. 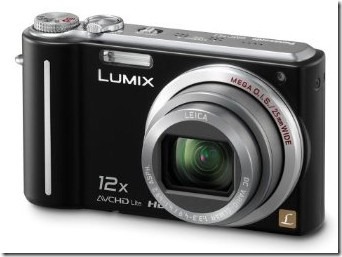 Such cameras are excellent ‘bridge camera’s before you move on to a DSLR category. If you prefer the Canon family, I highly recommend checking out the Canon Powershot SX20IS boasts 12.1 MP and a 20x wide angle zoom. And for the Nkon fans, Nikon CoolPix P90 offers a 12.1MP and a 24x Wide angle zoom lens. All 3 of these Superzoom digital cameras boasts exceptional zoom range but as you can see the Panasonic is the smaller zoom of the 3 but the price difference is huge. Whichever camera you might choose, you will really blown away by the extra zoom range in these cameras. Also, remember Amazon doesn’t charge sales tax so you will be saving quite a few bucks more. Oh and don’t forget to pick up a SD memory card for the camera. Here is a cheap one – Transcend 8 GB SDHC card. Oh and don’t forget to check out this amazing Canon Rebel XS DSLR deal. I love this camera. It’s easy to work, picture and video quality is great. The only downside is that sometimes it’s a little hard to hold focus when it’s fully zoomed.